Towing involves heavy forces which act upon the rig as well as both tow truck and towed vehicle. Whenever such strains are involved there inevitably are things that can go wrong if the job is not done correctly. In the past motorists would sometimes help each other out by towing a disabled vehicle using their own sedan, station wagon or pickup truck. Those days are over, it is just not safe to tow without proper gear and a professional tech to operate it. 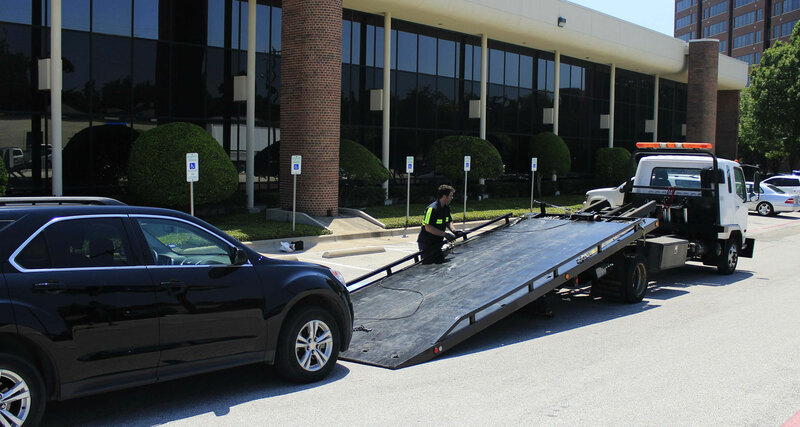 The risks involved in towing can be divided into two types, those which characterize the loading and unloading stages and those which may occur while en route. When loading and unloading there is the risk of damage being inflicted to the towed vehicle. Personal injury is also a danger if there are sudden breaks or tears in wire cables, chains or straps. Driving a loaded tow truck should only be done by reliable, patient tow techs who know that errors may mean danger of overturning, detached towed vehicles or causing a road accident. Professional tow techs are well aware of the dangers involved and the responsibility which rests upon them to carry out their jobs in a manner ensuring safety.